Love the free shipping and speedy service from pureformulas. My doctor has recommended this brand because he trusts the manfacturer. Havent taken High DHA Finest Pure Fish Oil (Orange) by Pharmax long enough to determine if it is helping. 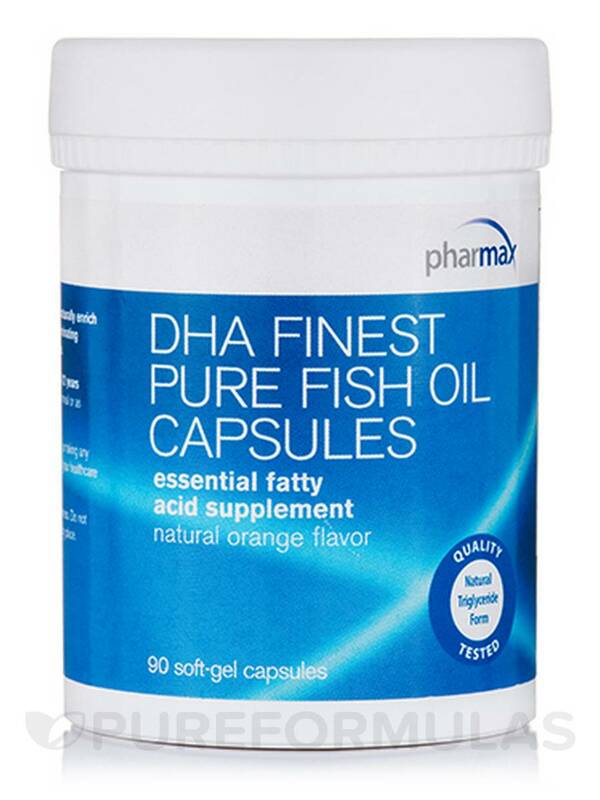 High DHA Finest Pure Fish Oil by Pharmax is a convenient source of these essential omega-3 fatty acids‚ if you don't get enough from dietary sources (which include fatty fish such as salmon) on a daily basis. 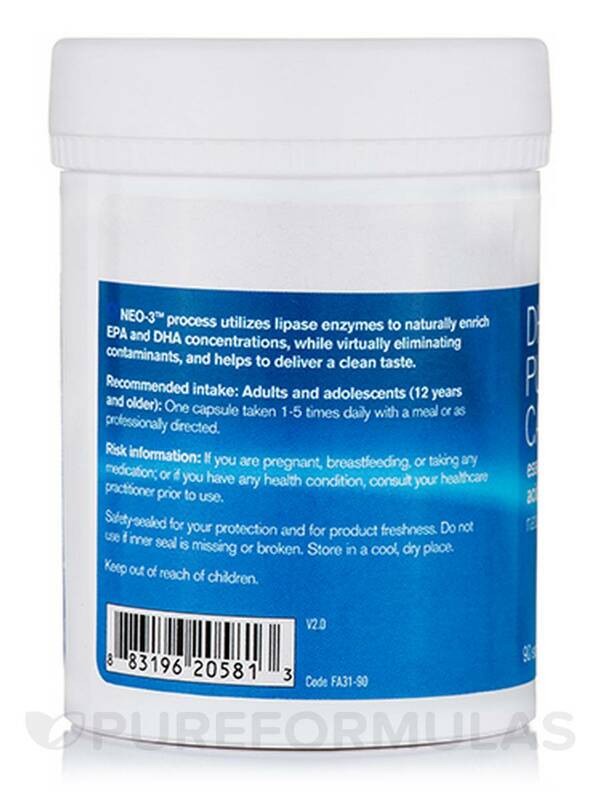 It contains fish oil sourced from tuna‚ and has been enriched with NEO-3™ natural EPA and DHA. Every capsule of Pharmax's High DHA Finest Pure Fish Oil contains 300 milligrams of DHA and 68 milligrams of EPA in order to support cognitive functioning and heart health. This fish oil supplement contains essential oil of orange to naturally mask the fishy odor and taste. As a result‚ it's easier to use more often. 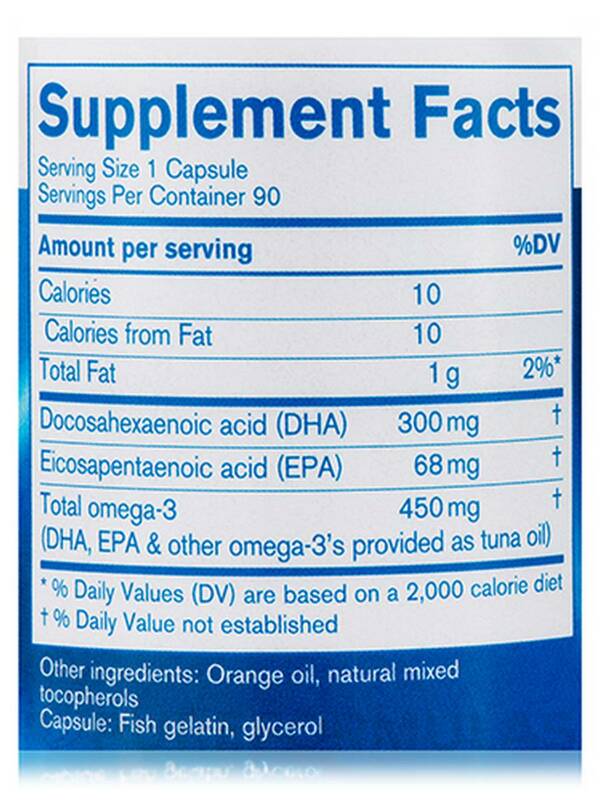 In addition‚ High DHA Finest Pure Fish Oil also provides natural mixed tocopherols. Adults and teenagers should take one to five fish oil softgel capsules a day with food. 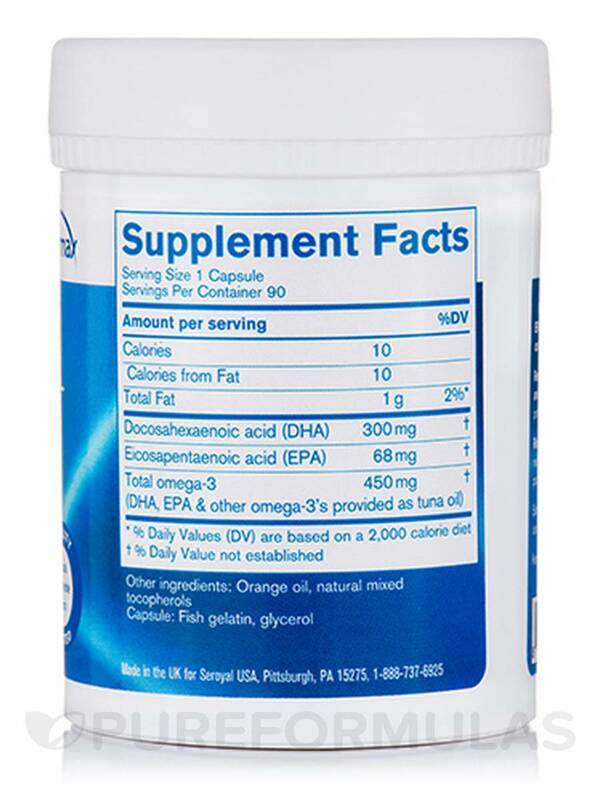 Each bottle of High DHA Finest Pure Fish Oil by Pharmax contains 90 servings. Other Ingredients: Orange oil‚ natural mixed tocopherols. Capsule: Fish gelatin‚ glycerol. Adults and adolescents (12 years and older): One capsule taken 1-5 times daily with a meal or as professionally directed. If you are pregnant‚ breastfeeding‚ or taking any medication; or if you have any health condition‚ consult your healthcare practitioner prior to use. Safety-sealed for your protection and for product freshness. 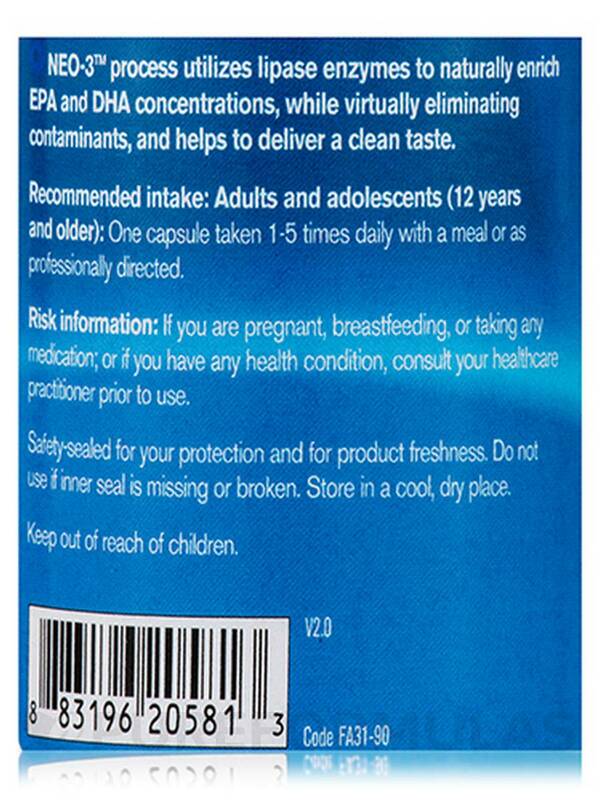 Do not use if inner seal is missing or broken. Safer than other fish oils. Started using High DHA Fines Pure Fish Oil by Pharmax during pregnancy based on a recommendation from my accupunturist for depression. Even my husband could tell my mood lifted within an hour of the first dose. Not a normal response time for most people but amazing for me.